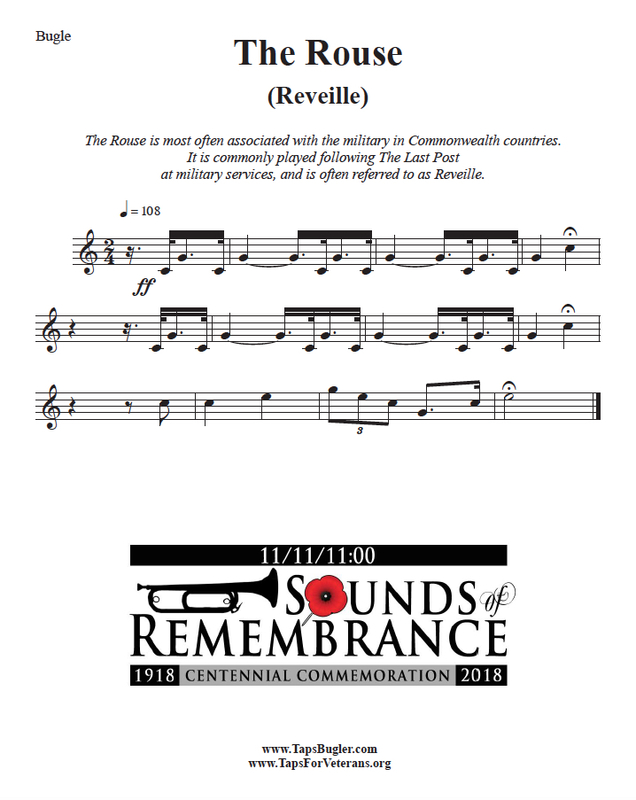 Of all the bugle signals sounded in the world, the two that stand out as music of remembrance are the American bugle call Taps and its Commonwealth counterpart The Last Post. With the exception of a few, most bugle calls are only a few bars long and are not usually recognized by the general population. To be sure there are calls like Reveille, First Call (heard at Race Tracks), Charge (heard at Baseball games) and the almost recognizable calls for Retreat and To The Color that are sounded to mark the end of the military duty day. But Taps and The Last Post are among the most recognized melodies in the world. Both calls share a similar function in that there are both sounded at the end of the day and for funerals and memorial services. The Last Post is one of a number of bugle calls in British military tradition which mark the phases of the day. Where Reveille signaled the start of a soldier’s day, the Last Post signaled its end. It is believed originally to have been part of a more elaborate routine, known in the British Army as Tattoo that had its origins in the 17th century. During the evening, a duty officer had to do the rounds of his unit’s position, checking that the sentry posts were manned and rounding up the off-duty soldiers and packing them off to their beds or billets. He would be accompanied by one or more musicians. The “first post” was sounded when the duty officer started his rounds and, as the party proceeded from post to post, a drum was beat. The drum beats told off-duty soldiers it was time to rest – if the soldiers were billeted in a town, the beats told them it was time to quit the pubs. Tattoo is a derivation of “doe den tap toe”, Dutch for “turn off the taps”, a call which is said to have followed the drum beats in many a Dutch pub while English armies were campaigning through Holland and Flanders in the 1690s. Another bugle call was sounded when the party completed their rounds, when they reached the “last post”: this signaled the night sentries were alert at their posts and gave one last warning to any soldiers still at large that it was time to return to the garrison. 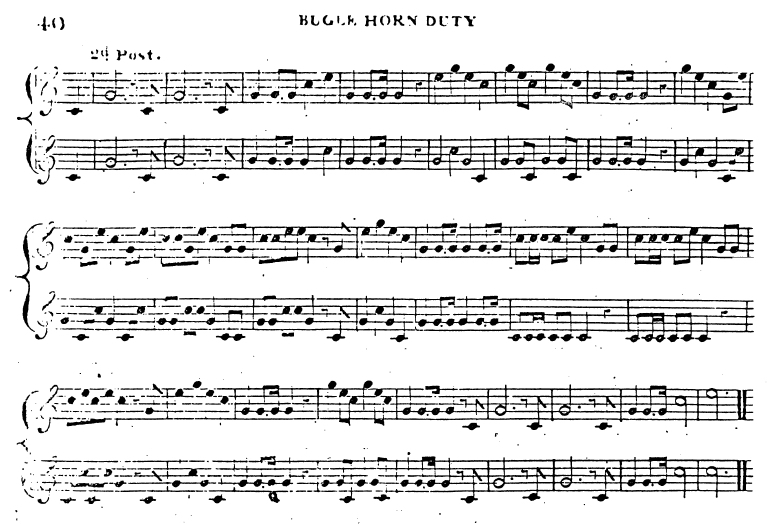 One of the first references to the call can be found in the “Preceptor for the Bugle” by J. Hyde published in 1818. It is titled 2nd Post and is written for two buglers. The call is performed as a solo today. 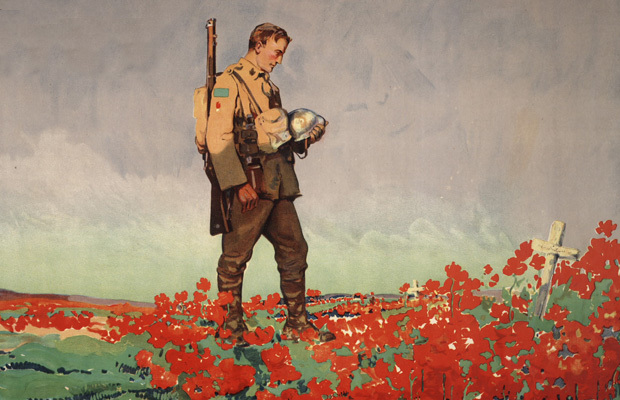 By the time the First World War broke out in 1914, The Last Post was part of the British national culture. Mostly it was still associated with soldiers, but increasingly it was also being played at the funerals of civilians such as Wallace Hartley, the bandmaster of the Titanic. During the war, it was sounded countless times at funerals at the front. With mass enlistment and then conscription, the walls that had long existed in Britain between the civilian and the soldier broke down completely, and a piece of music that had once belonged exclusively to military culture was adopted by a wider society. HG Wells said this was “a people’s war”, and the Last Post became the people’s anthem. As memorials were constructed following the war, most notably The Cenotaph and the Unknown Warrior, The Last Post became an integral part of ceremonies honoring those who died in the Great War. In the United States, bugle signals dated back to the revolution. Like the British military, American bugle calls were found in printed military tactics manuals around the start of the 19th century. Taps began as a revision for the signal of Extinguish Lights (Lights Out) at the end of the day. Up until the Civil War, the infantry call for Extinguish Lights was printed in the Infantry tactics manuals with the bugle signals taken from the French. The music for Taps was adapted by Army General Daniel Butterfield for his brigade in July, 1862. As the story goes, General Butterfield was not pleased with the call for Extinguish Lights, feeling that the call was too formal to signal the days end. 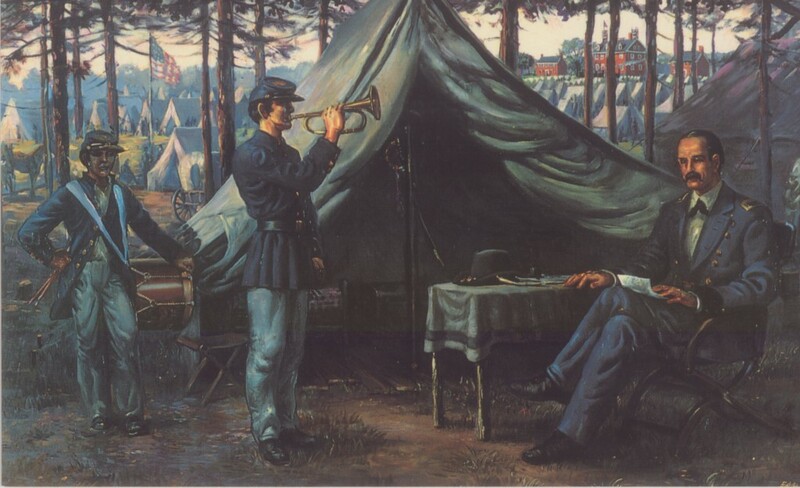 With the help of his brigade bugler, Oliver Willcox Norton (1839-1920), Butterfield wrote Taps to honor his men while in camp at Harrison’s Landing, Virginia, following the Seven Days battle in June, 1862. The new call, first sounded that night in July, 1862, soon spread to other units of the Union Army and was reportedly also used by the Confederates. 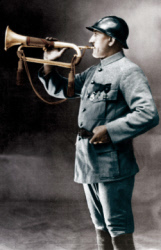 Taps was made an official bugle call after the war. The highly romantic account of how Butterfield composed the call surfaced in 1898 following a magazine article called “The Trumpet in Camp and Battle,” by Gustav Kobbe, (1857-1918) a music historian and critic. Both Norton and Butterfield responded to the magazine article with their versions on how the call originated. The original purpose for Taps was to signal Lights out for soldiers. It was called at first Extinguish Lights although it was commonly referred to as Taps (for the three tap beats on a drum to signal lights out). During the Civil War Taps was sounded at a funeral, a practice that was to continue on in an unofficial capacity until 1891 when Taps was formally recognized in the Army manual in name and as the call sounded at funerals. It has been used since at funerals, wreath ceremonies and memorial services. Both calls share things in common. Both are sounded at military funerals and in the evening to mark the end of the day. Both encompass the overtone range of the bugle, although The Last Post uses the low C. Both were written to be sounded on a bugle but are commonly performed on trumpets or cornets. 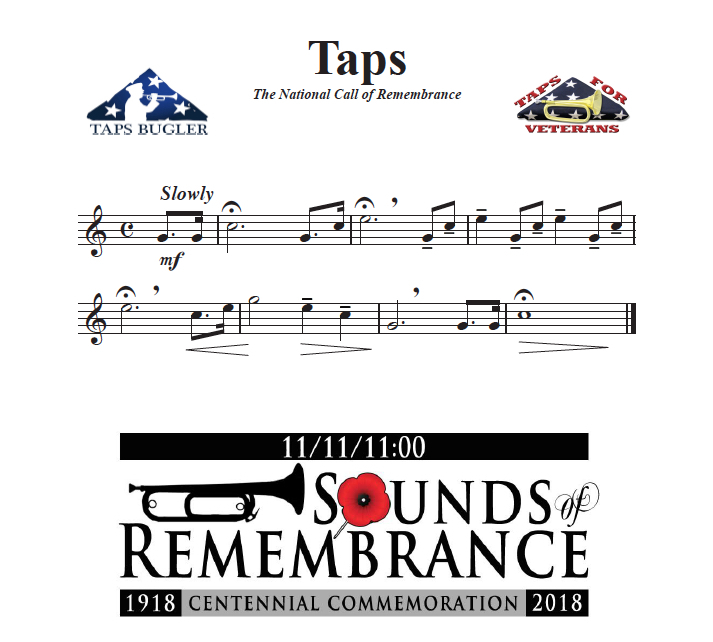 While The Last Post is performed in Bb (concert), Taps is sounded in Bb, G, and sometimes F. Both calls have a dual purpose-to end the day and as an honors piece of music at funerals and memorial services. While Taps has had many sets of lyrics written to the music, most notably “Day Is Done, Gone The Sun”, there are no official words to the call. The Last Post by its very nature of being a longer call has very few lyrics set. Here is one I’ve found. All good soldiers know very well there is nothing to fear while they do what is right, and forget all the worries they have met in their duties through the year. A soldier cannot always be great, but he can be a gentleman and he can be a right good pal to his comrades in his squad.So all you soldiers listen to this – Deal fair by all and you’ll never be amiss. 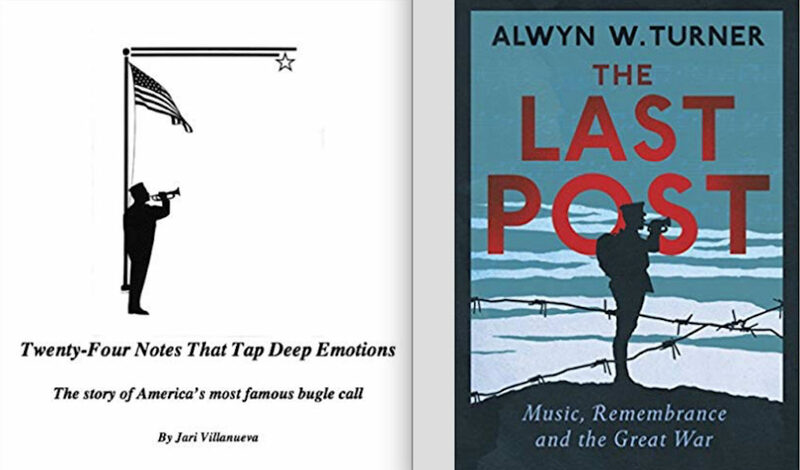 The origin of both Taps and The Last Post cannot be traced to any composer. The first reference to the musical notes of Taps are found in the 1835 Infantry Manual prepared by Major General Winfield Scott. Taps is found in the last part of the call The Tattoo. This has been commonly referred to as the Scott Tattoo although General Scott probably did not compose the music. The Last Post can be traced to the “Preceptor for the Bugle” by J. (John) Hyde published in 1818 under the title 2nd Post. Hyde was a trumpeter in the King’s Theatre Orchestra and a fine keyed bugler who was also credited with inventing the English Slide Trumpet. It is not known whether he composed the calls or arranged them. He may have had a hand in both. On November 11, 1918 World War I came to and end with the Armistice that took effect at 11 am. Thus was born the phrase: “The 11th hour of the 11th day of the 11th month.” As the war came to an end bugles were sounded including a rendition of Taps that General John “Black Jack” Pershing ordered performed by his buglers Hartley Edwards. Edwards (known as “Hot Lips”) stood next to a rail car in the Forest of Compiègne and did as he was told. Later, Edwards learned that he blew the call that signified the end of the Great War. He later repeated the call under the Arc de Triomphe in a parade in 1919 as part of the first of many Armistice Day celebrations. 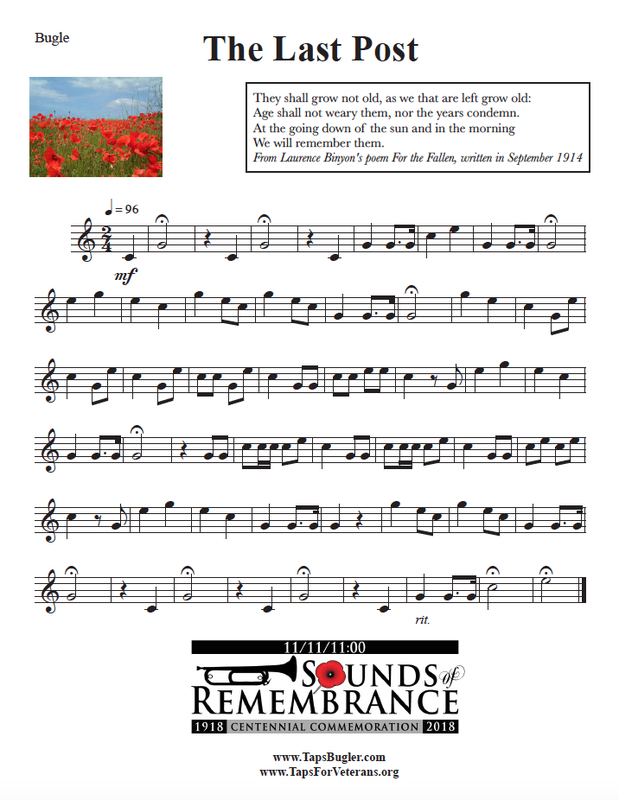 It is not known if The Last Post was sounded at 1100 on November 11, 1918. Certainly buglers would have sounded Stand Fast or Cease Fire. I know of no specific British Bugler that day sounding the calls at 1100. 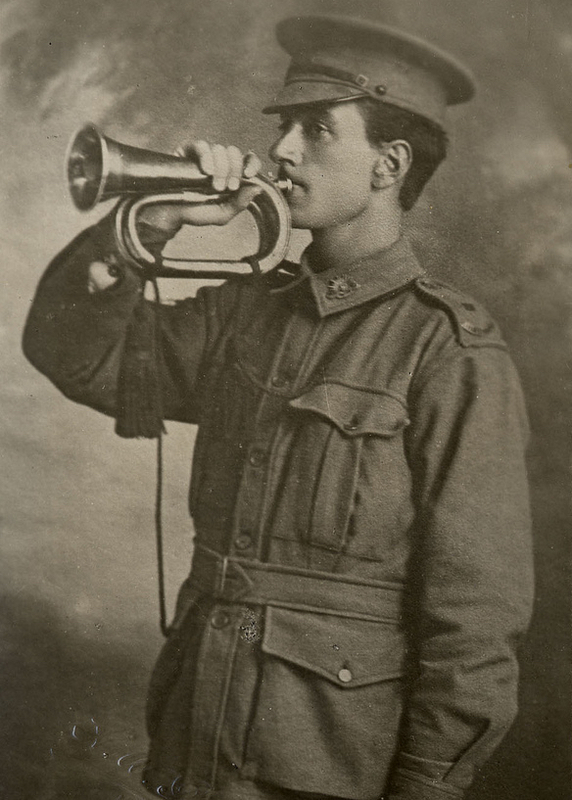 However a French Bugler, Bugle Corporal Pierre Sellier is said to have sounded the call (presumably French) Cease Fire at 1100. According to Time Magazine “the bugle which stopped the World War” was deposited at Les Invalides, the great Paris War Museum. 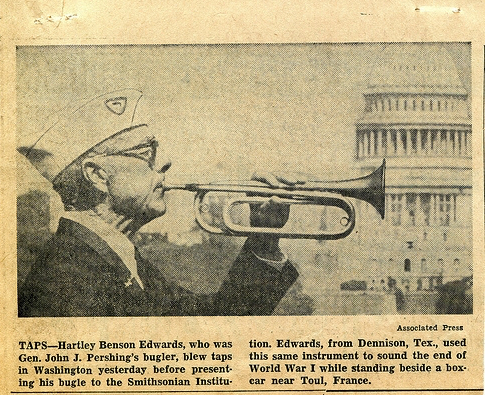 The bugle was donated to Indiana’s War Memorial Museum in 1949 where it is on display today. On a daily basis Taps and The Last Post are sounded at military funerals and memorials services in the United States and the United Kingdom. For 100 nights during the summer Taps is sounded at the Gettysburg National Cemetery in Gettysburg Pennsylvania where Abraham Lincoln delivered his famous address in 1863. 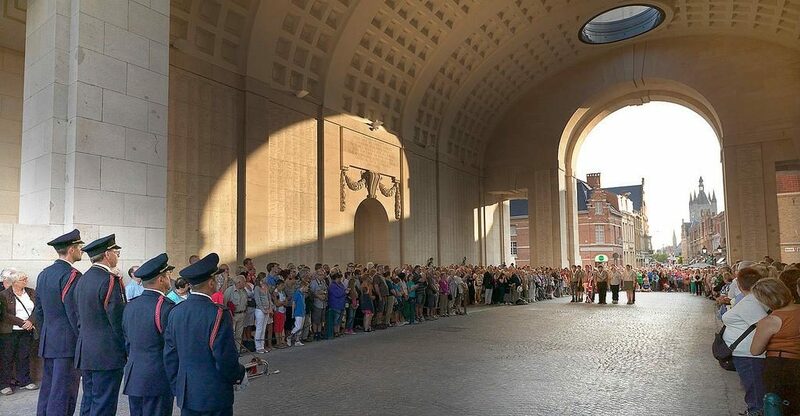 At the Menin Gate in Ypres, Belgium Last Post is sounded every evening in a ceremony. On November 11, 2018 thousand of buglers around the world will sound their call of remembrance to mark the centennial of the Armistice. 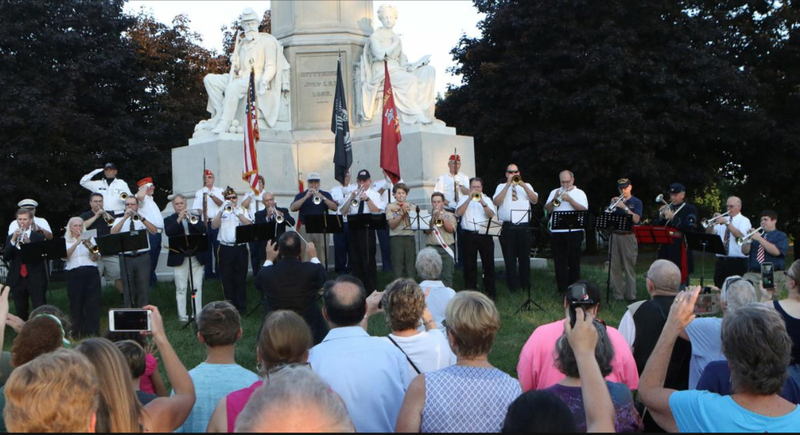 This entry was posted on Sunday, October 21st, 2018 at 7:32 pm	and is filed under Bugle Stories, Buglers Through History, Bugles for Performing and Collecting, General Interest, History of Taps, History of the Bugle. You can follow any responses to this entry through the RSS 2.0 feed. You can leave a response, or trackback from your own site.